I heard this track for the first time last week, on an advert for Sky Atlantic, I thought it was The Black Keys?? How wrong was I? In 2010 he released two singles on Innovative Leisure, a subsidiary of Stones Throw Records. His debut album, Will the Guns Come Out, was released on September 27, 2011. The album features eight original songs and three covers. His second album will be produced by Dan Auerbach of The Black Keys. He describes his songs as being for anyone who has ever been shot or hit by a train. His musical style includes elements of garage rock and blues. 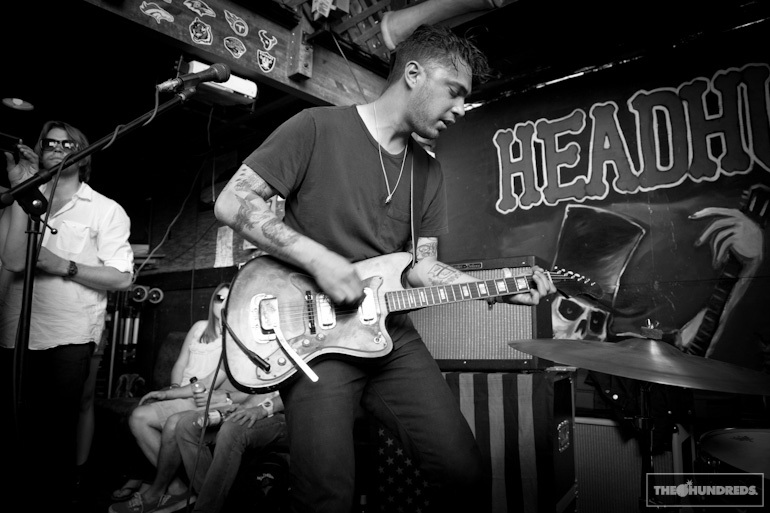 During his live performances, El Khatib is accompanied by drummer Nicky Fleming-Yaryan, a friend from high school, and guitarist / keyboardist Hayden Tobin. They performed at the South by Southwest festival in March 2011, and at Bonnaroo in June 2011. They have opened for Florence and the Machine. His music has been used in television commercials for Captain Morgan, Nike and Nissan, as well as the HBO series Hung, the Showtime series Californication and the feature film, For a Good Time, Call.... and most recently, for the 2013 Superbowl ad for Audi with his song, "Can’t Win ‘Em All". Bloody good song I found! Nice raw sound, really digging this guy. He's got something. Not my usual kinda music, but I quite like it.